Greenisland FC celebrate as they lift the SuperCupNI 2018 U13 Section trophy. FOLLOWING on from the major success of the Minor section in 2018, the organisers behind the STATSports SuperCupNI have expanded the U13 competition to 16 teams. Thirteen of Northern Ireland’s finest will battle it out with visiting teams to claim the 2019 Minor crown. Reigning champions Greenisland have returned to the competition as they look to retain their title, while runners-up and local favourites Bertie Peacocks Youth will hope to go one better this year. The 2018 competition was hailed as a huge success and a number of last year’s entrants have committed themselves once again. 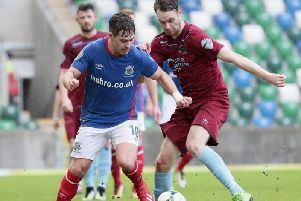 Belfast giants Linfield FC, home town outfit Coleraine FC, Glentoran FC, Portadown FC, Glenavon FC, Ballinamallard United and Dungannon United Youth have all confirmed their place at the competition. There will also be debut appearances from recently promoted Larne FC, who will be sending their U13 side and they will be joined by neighbours Ballyclare Youth. 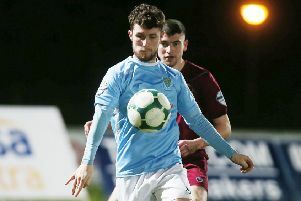 Completing the list is NIFL Premier League duo Warrenpoint Town FC and Ballymena United FC.